Are you in agony every time you try to turn your head, get a decent night's sleep, or go through the everyday tasks you need and want to complete? Neck pain can create a lot of frustration and puzzlement alongside the discomfort, leaving you searching for answers to your dilemma. Check out these answers to frequently asked questions about neck pain, as answered by our team at Jeranek Family Chiropractic. How do acute injuries cause neck pain? An acute injury to the neck can cause damage to multiple structures simultaneously, causing intense pain and making it difficult for you to move your head. Whiplash sustained in an auto accident is a good example. A sudden stop or impact can throw the weight of your head around with considerable force. This force extends and flexes the neck beyond its normal capacity. Neck muscles and tendons become strained, cervical vertebrae may be dislodged, and the discs between those vertebrae may herniate. Do I have to be in a car accident to get whiplash? Whiplash doesn't confine itself to auto accidents. 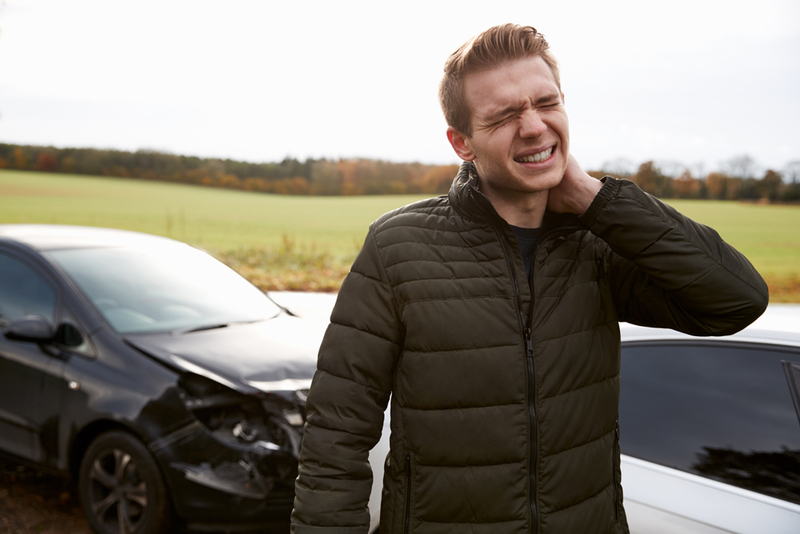 you can get whiplash from a high-impact sports injury, workplace injury, or any other personal injury scenario in which the body and head are jolted. How do disc problems contribute to neck pain? A disc that protrudes out of the spinal column can push against cervical nerve roots, causing pain not only in the neck but also in the upper extremities. Herniated discs can also be extremely painful their own right. Bulging discs can cause chronic neck pain (as they lose hydration and height with age) by reducing the space between discs and straining the vertebral joints. What other chronic conditions can cause neck pain? Bone spurs, spinal stenosis (a narrowing of the space inside the cervical spinal column), spondylolisthesis (a kind of degenerative vertebral alignment problem), and arthritis can all cause chronic neck pain.Neck muscles may suffer chronic pain if they're subjected to constant overuse. What is "text neck?" "Text neck" is a good example of how poor posture contributes to neck pain. If you're always drooping your head as you use your smartphone, your neck muscles can experience unnatural strain. Does neck pain require surgical intervention? Fortunately, most forms of neck pain don't require surgical intervention. Our chiropractor, Dr. Jeranek, can diagnose the underlying cause or causes of your neck pain. non-invasive treatment techniques can then fix those underlying issues so you experience relief without surgery or drugs. How do chiropractors diagnose neck pain conditions? Chiropractors typically use a combination of X-rays, discussion of patient symptoms, evaluation of medical history and other methods to track down the cause of neck pain. We will check for any signs of disc problems, changes to your cervical alignment or curvature, and soft tissue pain that corresponds to specific neck or head motions. How does your chiropractor treat neck pain? 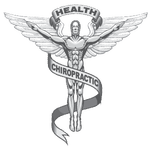 Our chiropractor takes a holistic attitude toward healing, employing a variety of different treatment methods as needed to help you overcome your neck problem. Cervical spinal adjustments can shift vertebrae back into their proper relationships, easing joint pain and abnormal soft tissue strain. Adjustments that reverse nerve impingement may also relieve accompanying symptoms such as hand or arm pain. What other natural treatments can complement chiropractic treatment for neck pain? Spinal traction and other forms of physiotherapy can help with disc-related pain, chronic muscle inflammation and other neck pain causes. Corrective exercises can help you strengthen and limber your neck, improve your posture, and help you minimize your risk for future bouts of neck pain. We can also recommend lifestyle changes in your work or daily routine to help you avoid preventable problems such as "text neck." Neck pain can prove a tricky foe, but you can outsmart it by relying on the wisdom, skill, and expertise of our Kenosha neck pain doctor and Chiropractor, Dr. Janet Jeranek. Call Jeranek Family Chiropractic today at (262) 694-7833 to schedule a consultation and find out how we can make your neck pain a thing of the past! "My problems started two years ago and I couldn’t walk, I was stuck on a walker, almost bent in half. Dr. Jeranek has helped me very much. I feel better, I walk better, straighter, and without a walker, it’s a night and day difference. I would highly recommend seeing her." "I had a sore lower back for about a year and sore knees for about 4-5 years before I started seeing Dr. Janet Jeranek. Dr. Jeranek’s rehabilitative Chiropractic care has significantly improved my back pain and both my knees have shown very little pain lately. I am very happy that I can do all of my normal activities with more flexibility with very little pain." "I am a semi truck driver and the seat bounces me around. The MRI showed that I messed up my discs in my lower back, I have been suffering from lower back pain for years. I started noticing numbness, tingling, and weakness in my left leg a few weeks ago. So I called Dr. Jeranek and she got me in right away. Now I am feeling great with not leg tingling, weakness, or numbness. Give her a try, you will be glad you did!"